At High Desert Insurance, our dedicated agents make choosing Dwelling Fire Insurance easy. We will analyze your needs and explain your options in a clear, understandable way while saving you time and money in the process. High Desert Insurance makes it quick and easy to find the Landlord Fire policy that best suits your needs. Landlord Fire Insurance coverage can protect your rental property from fire damage and yourself from legal and premises liability. With Landlord Fire Insurance through High Desert Insurance, you can rent your property out with confidence. •Landlord Fire policies cover houses and structures that are NOT occupied by the owner. •A homeowners insurance policy will NOT cover damages to a home that the policy holder is not living in. •Landlord Fire insurance covers all fixed structures such as the home itself, the foundation, cabinets, walls, countertops, etc. 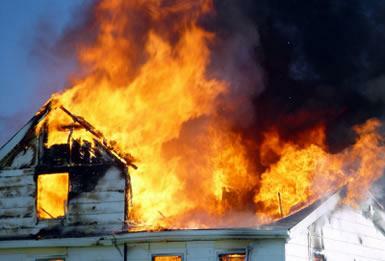 •Most Landlord Fire policies DO NOT cover personal property because the policy holder is not an occupant of the home. •Landlord Fire policies can be written for other structures on the property also such as sheds, unattached garages, barns, pagodas, greenhouses. •If a fire leaves your rental home inhabitable, a Landlord Fire policy will cover lost rent. High Desert Insurance will shop the top carriers in the country to find you a Landlord Fire policy that is both affordable and reliable.